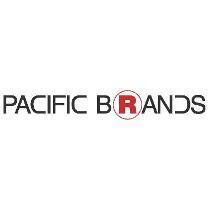 HONG KONG – (ACN Newswire) – Another Internet-concept stock BabyTree Group (1761.HK) was listed on the main board of Hong Kong Exchange today, seeking to raise HK$1.7 billion by fixing the offer price at HK$6.8 per share. 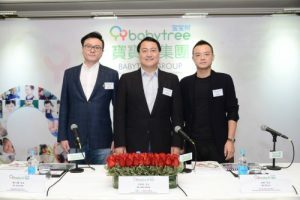 The listing of the online maternity and child-focused community platform BabytTree with Alibaba as its strategic investor has attracted extensive market attention. BabyTree’s strategic cooperation with Alibaba catches most of the market attention. 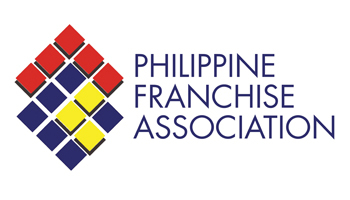 The cooperation has officially commenced on 12 October 2018. Through conjoining their platforms, both companies can seek more in-depth collaboration on e-commerce, advertising, C2M, Premium Content monetization and other potential businesses. In addition, Alibaba has increased its investment in BabyTree, which now totals US$21.60 million, and will continue to hold around 10% of the shares of BabyTree following the completion of the global offering. This clearly shows that Alibaba is supremely confident in the long-term growth of BabyTree. With respect to business operation, Alibaba’s industry-leading e-commerce business, user and service resources and execution capabilities could help BabyTree enhance its existing monetization models and potentially develop new ones, thereby further unleashing the commercial potential of the ecosystem. What makes BabyTree different from other nascent, new economy-based companies is that BabyTree has applied itself to the M&C industry with enormous dedication over the past 11 years and therefore has built a sturdy presence in the M&C and Internet industries. Perhaps this is the reason why the company has received such tremendous supports from various powerful strategic shareholders, including Fosun (holding approximately 21.11% shares), TAL Education (holding approximately 8.66% shares) and Alibaba (holding approximately 9.90% shares). These shareholders will not only provide capital supports to BabyTree but will also establish strategic cooperative ties with the company so as to offer BabyTree their exceptional resources. BabyTree is China’s largest and most active M&C-focused community platform, boasting a solid foundation of user traffic. It had on average 139 million MAUs in 2017, beating other Chinese M&C-focused online platforms targeting at young families, according to its prospectus. BabyTree’s user traffic foundation is not only gigantic but also the most premium in the industry. Strong social features and high-quality content are the two pillars of its community platform on which it offers a comprehensive suite of products and services that serve the four essential needs of China’s young families: learning, sharing, recording and shopping. The company’s products (including Babytree Parenting, WeTime, Meitun Mama) have contributed to the building of a closed-loop ecosystem for community, tools and e-commerce. By leveraging the strong supports provided by the three major strategic shareholders in the industry of healthcare, e-commerce and education, BabyTree will work earnestly serve every young family in China and grow its business to cover all aspects of the M&C industry, in the hope of becoming an M&C-focused flagship in the future. Mr. Wang Huainan used to commit that what they shared for the investors now was the results of their 11 years’ fighting and insistence to their mission. Though BabyTree adopted a conservative pricing strategy, the oversubscription was seen in international placing on the first day of launch, and coupled with the strong supports from big-name shareholders, it seems that investment institutions still have much confidence in the future development of the company. Owing to its leading market position, outstanding business model and reliable monetization ability, BabyTree is believed to be capable of precisely addressing users’ needs, outperforming its peers and growing into a sustainable, successful company in the future with great development potential.